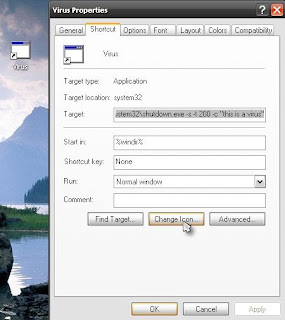 These are the previews for making a 'countdown shutdown mechanism' . 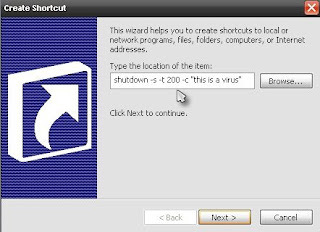 This is not a virus but is able to enable your computer to shutdown after a particular time. 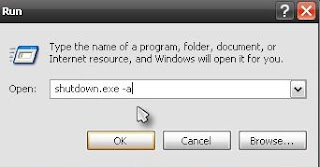 2) Name the shortcut by simply giving it a name such as Virus and then click finish. The shortcut is done. 3) Change the icon of the shortcut to make it "cooler". Wow^^ another kewl blog eh? why u never write bout ur life de, haha!